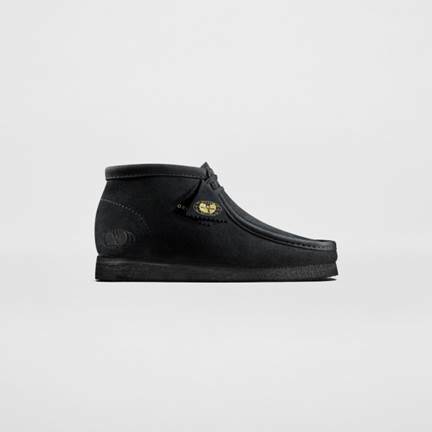 What may seem like an unlikely match is not really. 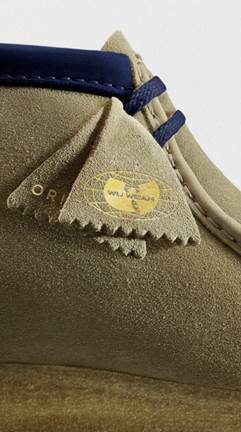 Footwear impresario Clarks has teamed with the WuWear, the brand that reps for the iconic rap collective Wu-Tang Clan on a pair of limited edition Wallabees. The collabo becomes likely in that Wallabees have been a hip-hop footwear staple amongst hip-hop purists for the clean crisp suede upper, classic crepe sole and not to mention it's mentioning by Wu-Tang member Raekwon The Chef. 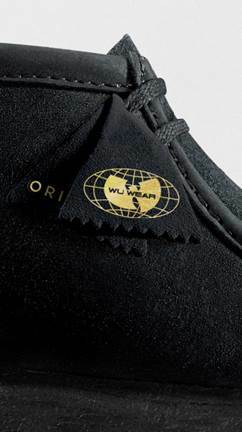 This limited edition duo features gold foil printing on the fob and an embossed Wu-Wear logo at the heel. 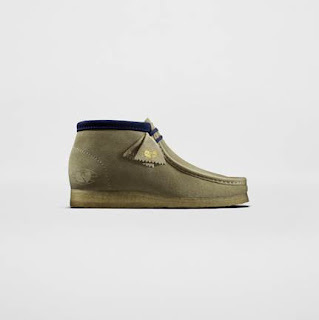 This is an exclusive drop for The Drop LA @ Barneys and is available now here.